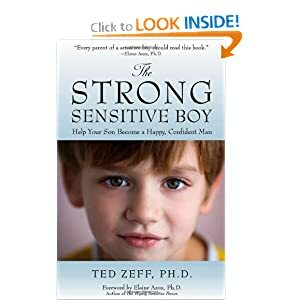 Today's podcast of The Secret Lives of Men, with Chris Blazina, focused on The Highly Sensitive Boy with Dr. Ted Zeff. They discuss Dr. Zeff's 2010 book, The Strong, Sensitive Boy: Help Your Son Become a Happy, Confident Man. This book is also important for sensitive men to read to help them heal their childhood wounds, learn how to navigate through our aggressive, overstimulating world, and accept themselves as sensitive men. This book is helpful for sensitive women since how society treats sensitive men deeply affects highly sensitive women—and all women close to sensitive males.